James was born September 1893 either in Liverpool or in Killashee, Co. Longford*. His family later emigrated to the U.S.A. and he enlisted in July 1918. He served overseas from 29 September to his death from pneumonia on 15 October. James was the brother of John Greeley, 195 Harrison Street, Brooklyn, New York City. *In the Abstracts of WW1 Service for New York, James gives his birthplace as Liverpool, England. **possibly the son of .Patrick and Elizabeth Greeley/Grealy, Killashee later of 195 Harrison Street, Brooklyn. 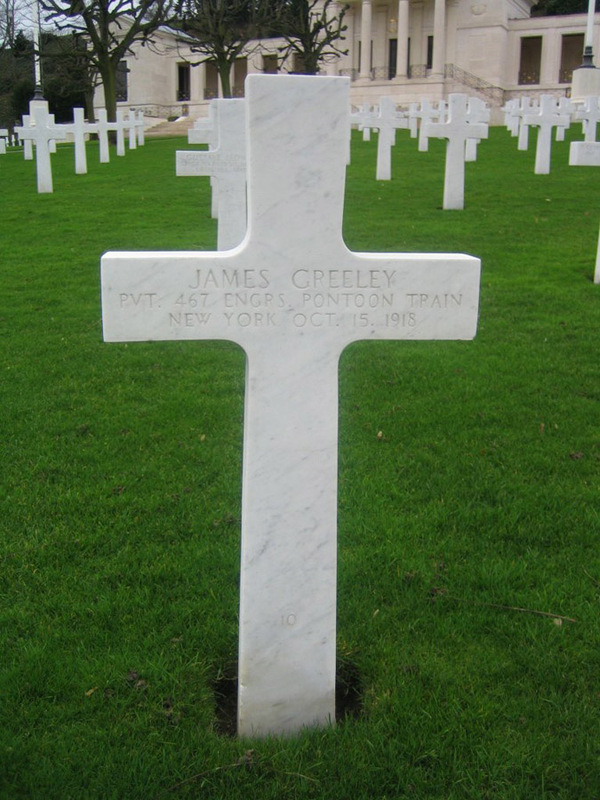 Another likely brother of theirs was Michael J. Greeley.